WHERE IS YOUR CASE BEING TRIED? 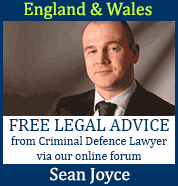 Sean Joyce is a criminal defence solicitor-advocate who has been a practicing solicitor since 1998, over 15 years. Sean is a partner at Stephensons Solicitors LLP and has extensive knowledge in road traffic, motoring and drink driving laws. Sean and his highly skilled, experienced team can help clients anywhere in England and Wales and throughout the entire criminal justice process from interviews under caution at the police station to representing and defending clients in both the Magistrates Court and The Crown Court. Sean has over 10 years experience regularly representing drivers for a variety of motoring offences including drink driving, causing death by dangerous driving, causing death by careless driving and speeding offences. He has also represented a multitude of commercial drivers (HGV, LGV, PCV drivers etc.) 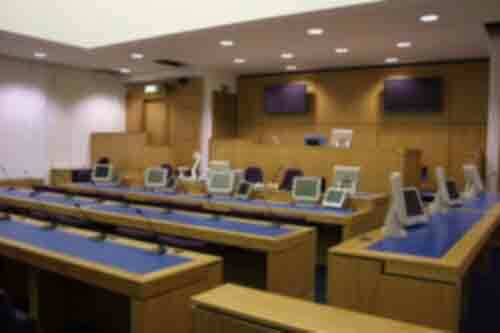 appearing before The Traffic Commissioners on a variety of matters and regulatory issues. ROAD TRAFFIC LAW: Advising and representing drivers in relation to all types of road traffic offences from drink driving to causing death by dangerous driving. Sean has a proven track record in avoiding penalty points and driving bans. He is listed in the directory of solicitors specialising in road traffic law by the Association of British Drivers. ROAD TRANSPORT LAW: Providing advice and representation to the road haulage industry in both the Magistrates Court (for prosecutions brought by either the police or Vehicle and Operator Service Agency [VOSA]) and before the Traffic Commissioner at Public Inquiry, representing both drivers and operators. Sean is an associate member of the Freight Transport Association and allied member of the Road Haulage Association. Michael Lyon is a road traffic solicitor based in Scotland and has been representing and defending clients charged with road traffic offences since 2001, over 12 years. Michael is regularly consulted by the media to comment on matters of road traffic law in Scotland and acted as consultant on The Road Traffic Offences and Disqualifications section of The Stair Memorial Encyclopedia, a cornerstone of the Scots lawyer's library. 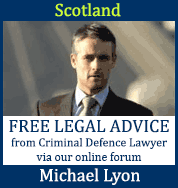 Michael and his team of highly specialised and experienced road traffic lawyers at Michael Lyon Solicitors Limited represent and defend clients charged with motoring offences such as drink driving throughout Scotland. Since 2007 their law practice has dealt exclusively with the defence of road traffic prosecutions. They have provided legal assistance with tens of thousands of road traffic prosecutions over the years and have represented a broad range of clients charged with motoring offences.